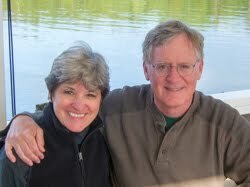 Laurie and Peter's essentiallycooking.com : "Mostly about cooking. Always about food." A bit more than a 1 lb. 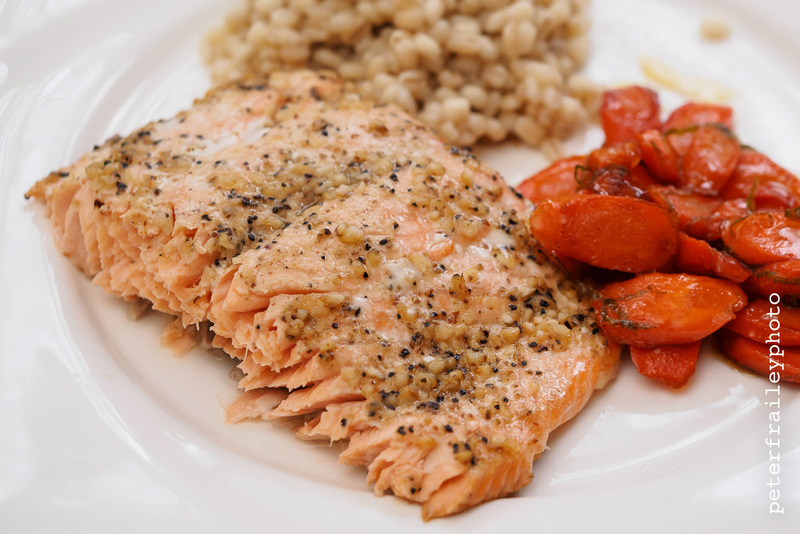 Wild U.S. Salmon. 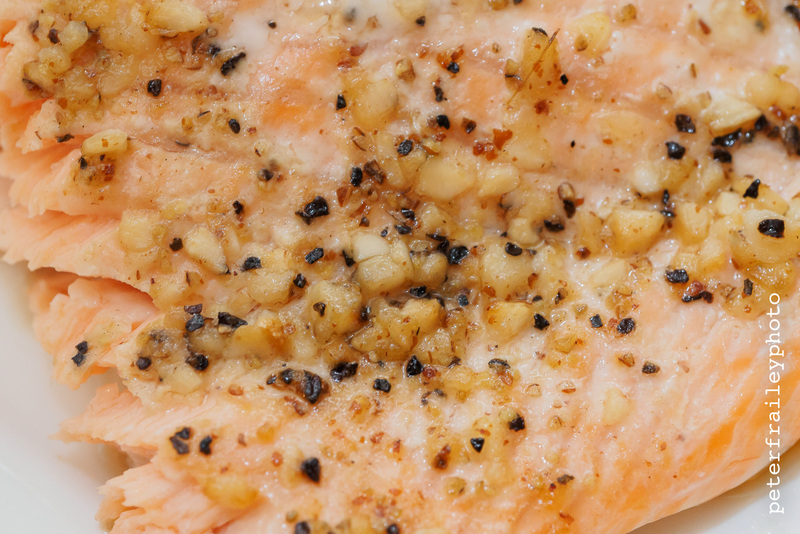 I know cold water fish like salmon are loaded with Omega 3 fats, the “good fats”, but I still resist fish. I doubt that I have even ordered fish at a restaurant. 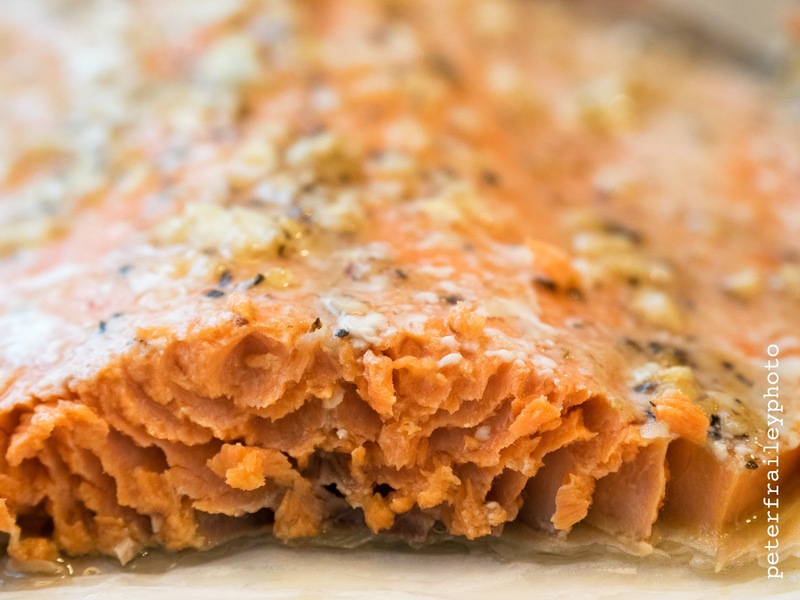 But this salmon recipe has changed my mind. Laurie has had this recipe forever. The recipe below is a jpg scan of the recipe card. You can tell that is is well used! 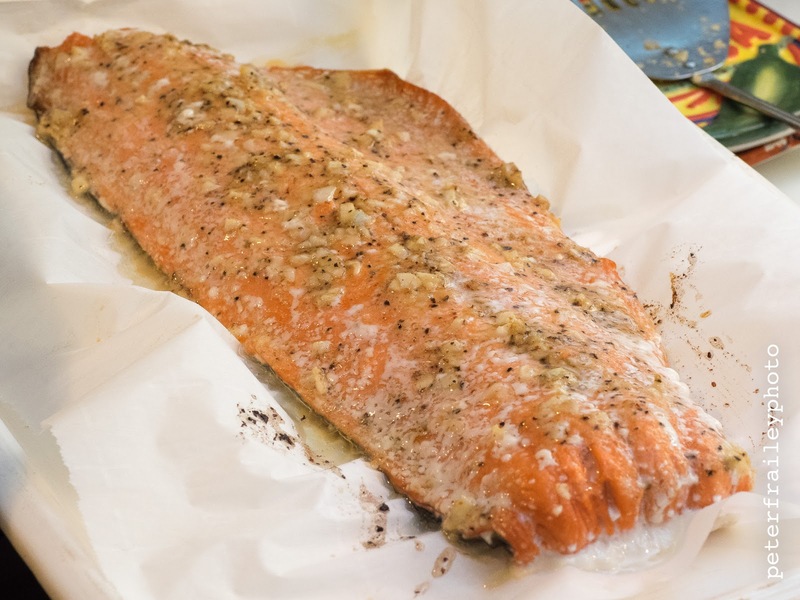 Shortening up the story a bit, we have decided that salmon is good for us, that we will have salmon once a month, and that it will be cooked using this recipe. That’s a good start. I’m thinking perhaps we’ll experiment a bit more and find a second fish recipe we both like, and then we’ll plan on having fish twice a month. Who knows, maybe I’ll start ordering fish in restaurants! Easy! Mix all the ingredients thoroughly and spread over the fillets. Bake for 30 minutes or until flaky, at 350F. This blog is viewed best in Safari and Chrome.